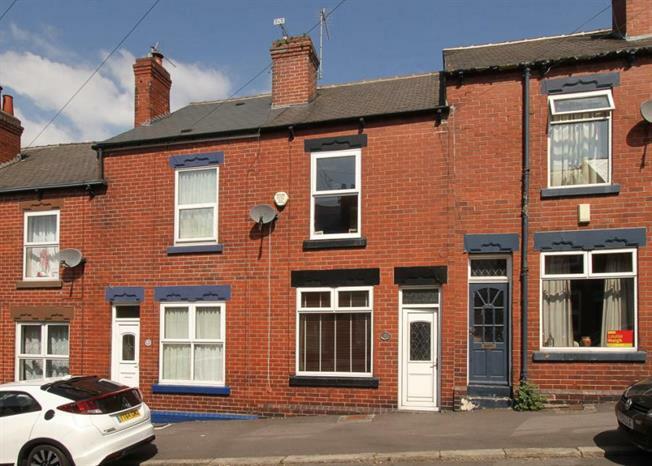 3 Bedroom Terraced House For Sale in Sheffield for Guide Price £155,000. Guide Price 155,000 - 165,000. A beautifully appointed three bedroom period terrace house located on this popular and regarded residential road. The area is served by a comprehensive range of excellent local amenities including shopping facilities, regular public transport and within catchment for popular local junior & secondary schools. The property provides versatile flowing living accommodation over three floors. The front entrance door opens to the light and airy tastefully presented living room. Inner lobby through to the separate dining room with garden views and cellar access. Fabulous fitted kitchen having a range of matching contemporary styled wall and base units and extensive work top surfacing. Off the kitchen is a separate utility room. On the first floor are two well proportioned bedrooms and a family bathroom having a modern three piece suite. Second floor double bedroom three with subtle decoration. Side access past the property to the rear having a court yard area leading to the enclosed lawn garden. Only from a detailed inspection can the enormous charm, character and standard of accommodation on offer be fully appreciated.